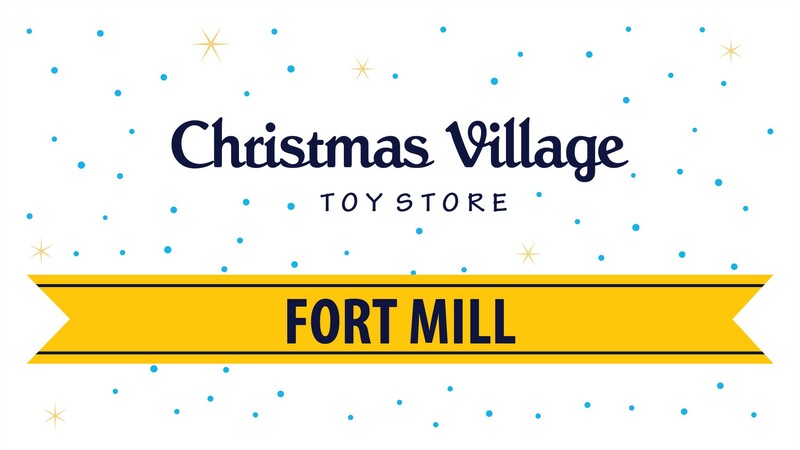 Please help us by being a volunteer in this year's Christmas Village Toy Store @ Fort Mill! Here's a list of different volunteer needs. We are SO excited to have the Christmas Village Toy Store again at our Fort Mill campus to support our local communities! We have almost 100 different volunteer opportunities that you could give of your time over the Christmas season!! We are looking to you to pull off another amazing toy store that will support families in our communities. All of these volunteer opportunities are before the store. Please see separate sign-up for the actual store serve opportunities. Please checkout the list of different volunteer opportunities; look at the days and times that will best suite your schedule and sign-up! We are living out the word of the gospel by supporting our communities over the Christmas season. The vision of the Christmas Village toy store is to provide communities that may not be in a current financial situation an opportunity to provide gifts to their children at Christmas in a loving and welcoming environment. It also provides us a time to share the gospel with them because the definition of being disadvantaged or without has nothing to do with a financial status but rather everything to do with the lack of knowing Jesus. This initiative is driven from the concept of a helping hand up and not a helping hand out. Research shows that it is in the best interest of the families we support to honor their dignity through the ability to purchase the gifts of their choice for their families. Please arrive on time for your scheduled shift so you can hear the brief but detailed position description for your role.